"A cool low-guilt summer treat flavored with coconut milk, bananas, and cocoa. It's vegan and features no refined sugars, and is quick to whip up." Place dates in a bowl, cover with hot water, and soak until soft, about 6 to 10 minutes; drain. Puree dates, bananas, coconut milk, almond milk, vanilla, cocoa powder, and salt together in a blender until smooth, about 2 to 3 minutes; pour into popsicle molds. Freeze until solid throughout, about 6 hours. 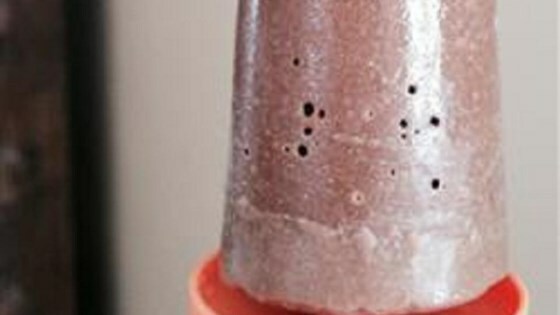 For an even tastier ice pop, use full-fat coconut milk instead--or add 1/3 cup sliced strawberries or bananas into the molds before freezing. Add extra dates for more sweetness, or sea salt to counter the sweetness. Amazing. Made it as is, using my Blendtec. My kids loved it.